With Silicon Valley being saturated with apps and connected services, and iOS steadily gaining steam across developed markets, Google has been eyeing other avenues to build out its mobile platform and revenue streams. To that end, it’s now urging Android developers in India to build for the next few hundreds of millions of people who will come online, most of whom will do so via smartphones. In order to make money through Android, Google needs devs to build apps that bring in cash. Today, it’s pushing further in that direction with its first-ever App Excellence Summit, which saw Rajan Anandan, Google’s Vice President, South East Asia and India address hundreds of developers building on Android in the southern city of Bangalore. He, along with other execs working on Google Play and Android, shared some insights and rules to live by in building for the next billion mobile users in India. Purnima Kochikar, director of business development for Google Play games and apps, noted that the time is ripe for devs who wants to make it big in India, as the country now see one billion app installs a month. That, coupled with the availability of faster and cheaper mobile connections (with rates as low as Rs. 15 per ($0.23) GB of data) and several ways for people to buy apps – including gift cards available in small denominations from offline retailers and the option to pay with cards, digital wallets and along with your carrier’s bill – makes this a great time to get started building a quality app. Google estimates that about 500 million people in India will come online via smartphones by 2020. That’s a massive opportunity, but as Anandan pointed out, the majority of those people will be from lower income groups. As such, it makes sense to think about solving hard problems in a way that makes sense for that type of audience – as opposed to only looking to replicate luxury services available in developed countries. It might seem obvious, but as an example, Anandan noted that there aren’t many companies tackling the massive problem of air pollution in India. That, along with sectors like education and healthcare, will boom when more people come online over the next few years. He added that among those users, proficiency in local languages will be much higher than in English. They’ll also likely buy phones with less storage and memory than today’s premium handset buyers will be used to. With that in mind, he advised developers to think about optimizing their apps to work in languages other than English, and without requiring plenty of processing power, storage and reliable connectivity to function. He also emphasized the need to build high-quality apps that people will want to keep on their phones. Uninstall rates on Android are as high as 90 percent, and about 50 percent of 1-star rating reviews in the Play store mention stability issues and bugs. If you want your product to survive, you’ll have to aim for a hassle-free experience. Lastly, Anandan talked about the importance of experimenting with different ways of monetizing apps early on, instead of focusing solely on growing an audience with an entirely free product; it can take time for people to begin converting from users to paying customers. Google has been investing money and energy into making Android more accessible to users in developing markets, with efforts like Android Go, an optimized version of the OS that’s suitable for low-end devices. There’s also a bunch of new tools for developers to test apps in the Google Play Console. 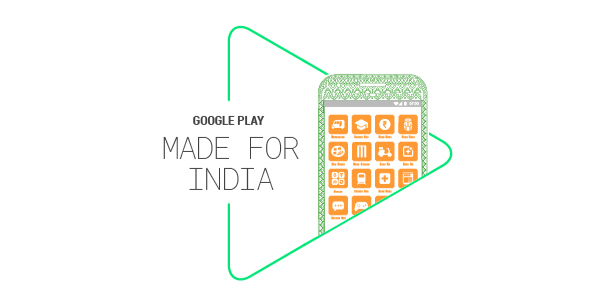 The latest initiative in this regard is Google Play’s Made for India program, which lets devs self-nominate their locally built apps to be evaluated by the company and showcased in the app store if they’re built to world class standards. With that, Google hopes to harness the large talent pool of developers and entrepreneurs in India and tap the burgeoning market of internet and mobile users in the country as millions of people hop on to the web for the first time. However, while India is great at delivering IT services, it has only a small number of class-leading online products and services. It’ll be interesting to see if this push from Google sees devs push the envelope with apps for the local market in the coming years.